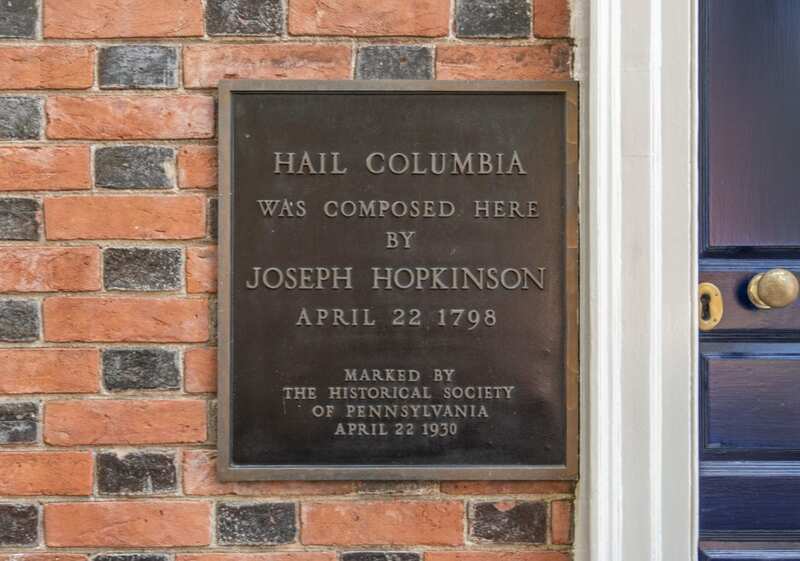 For 227 years the Hail Columbia House has been an echo of the early days of the newly independent USA. 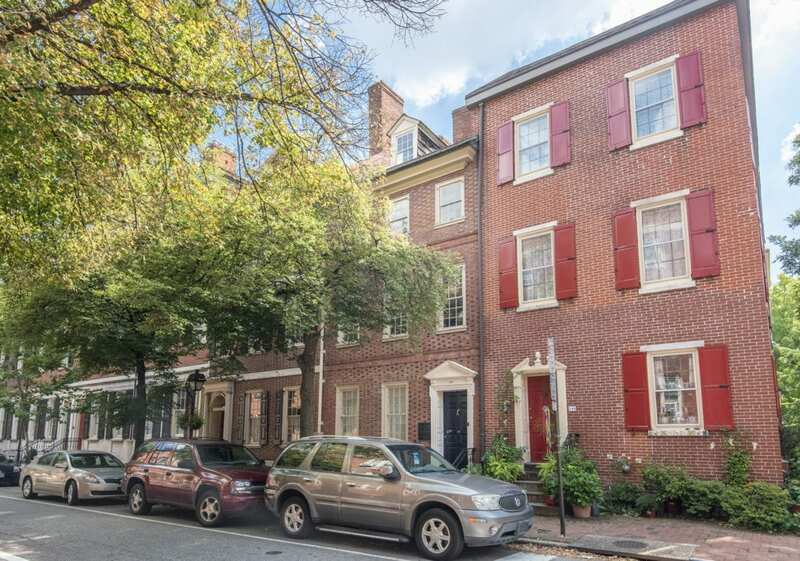 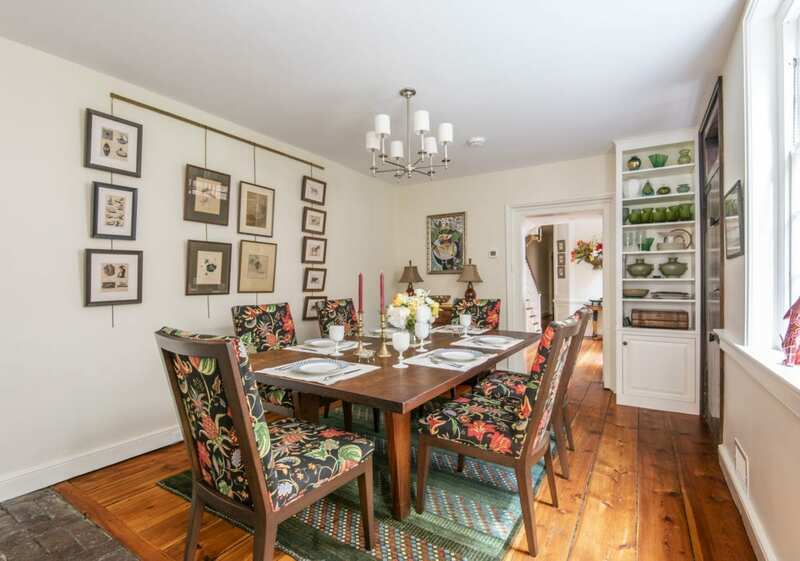 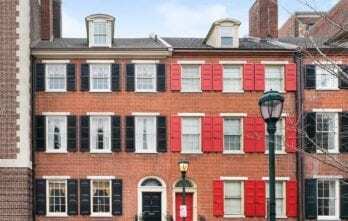 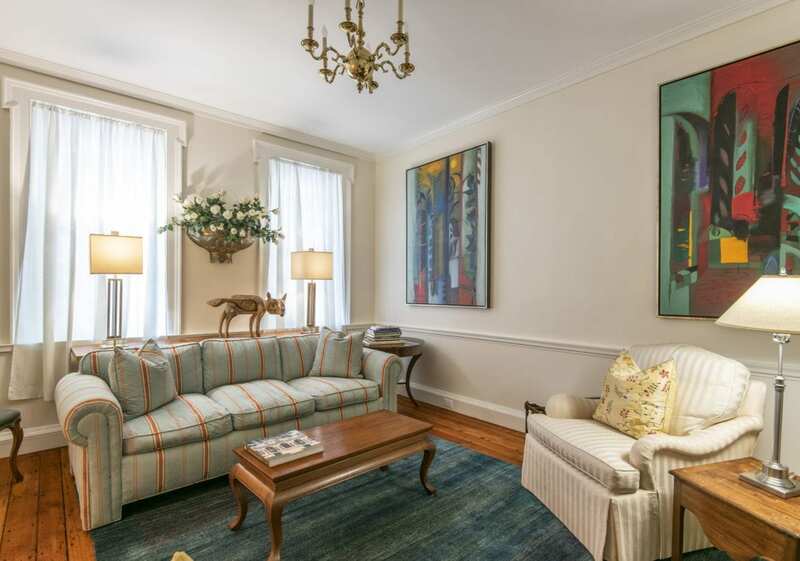 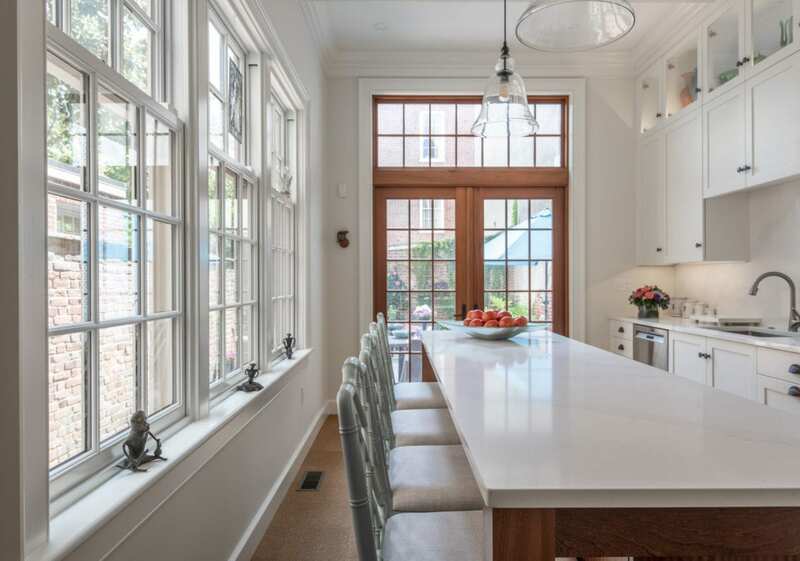 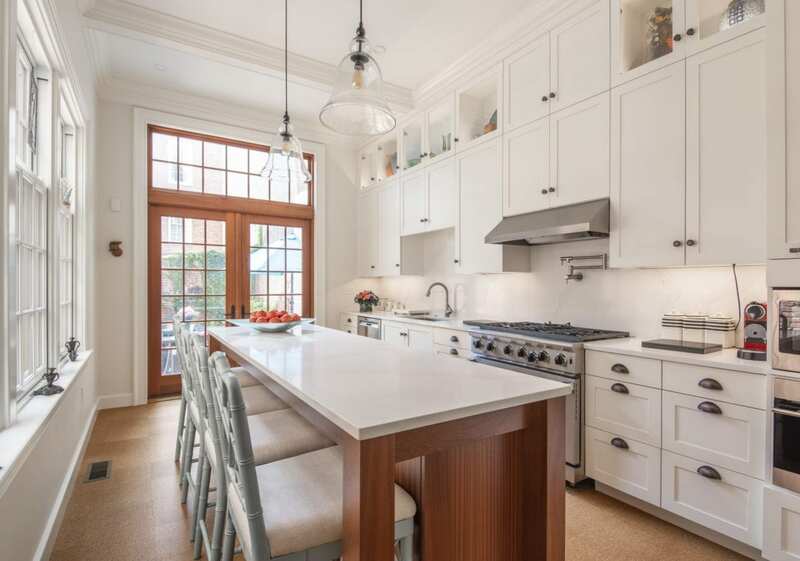 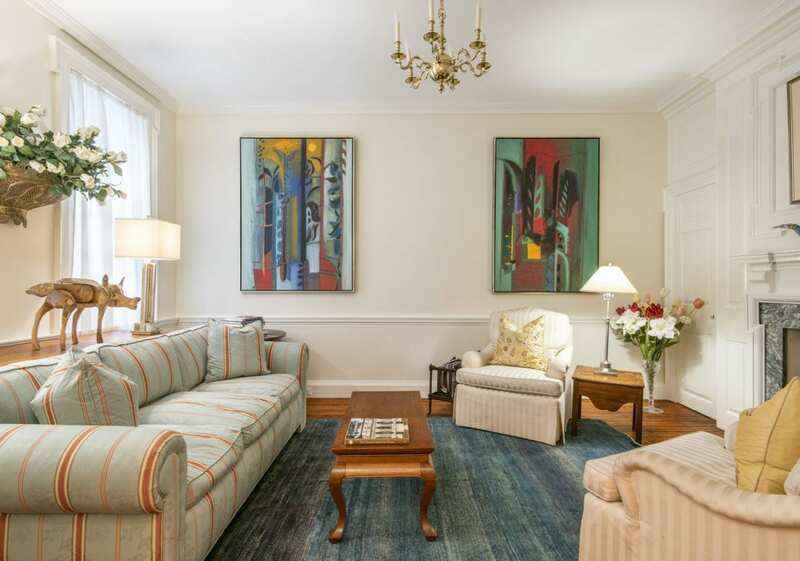 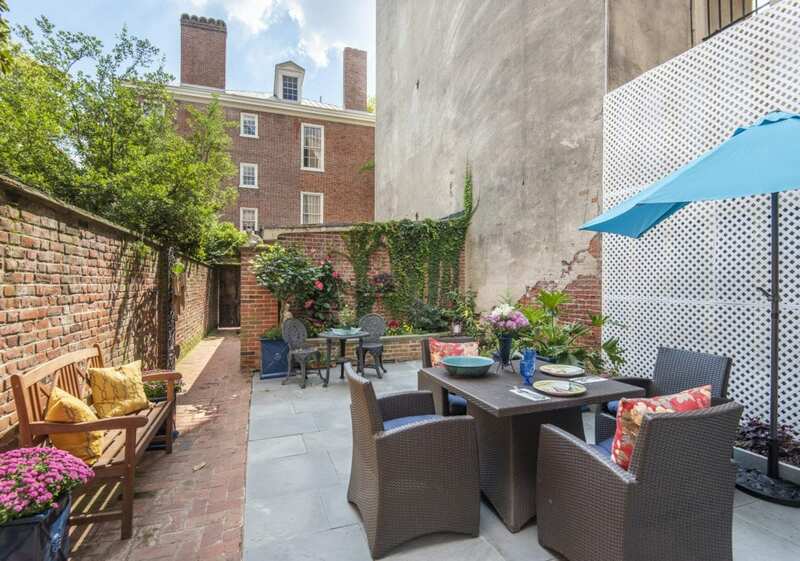 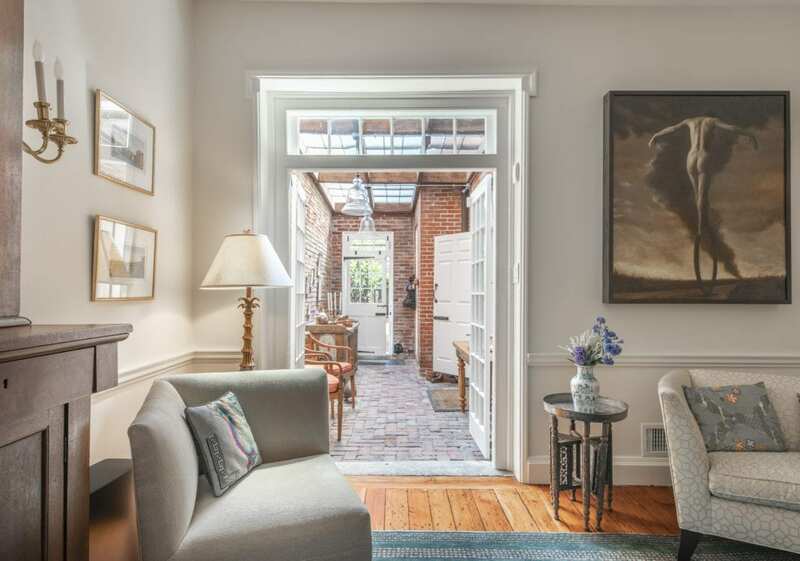 Beyond its historical prestige and original details, this three story home also offers a charming garden and a private garage to create a rare urban oasis stretching from Spruce to Cypress Street. 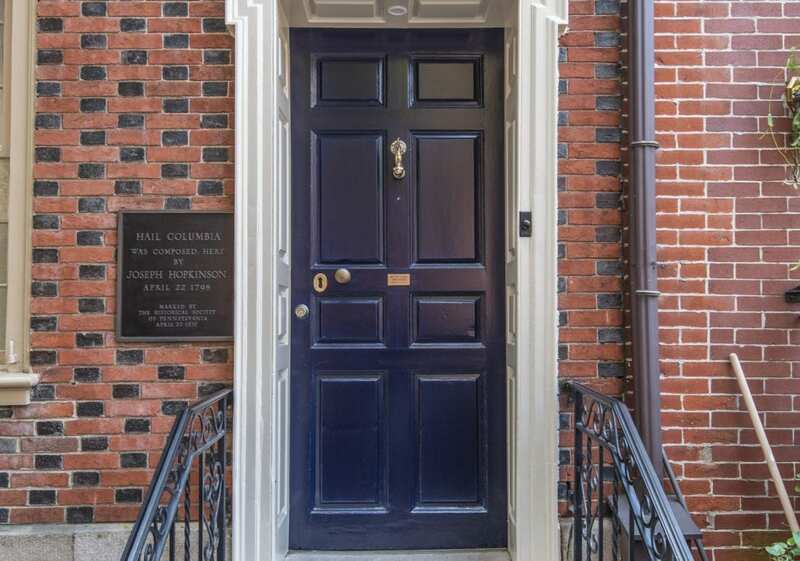 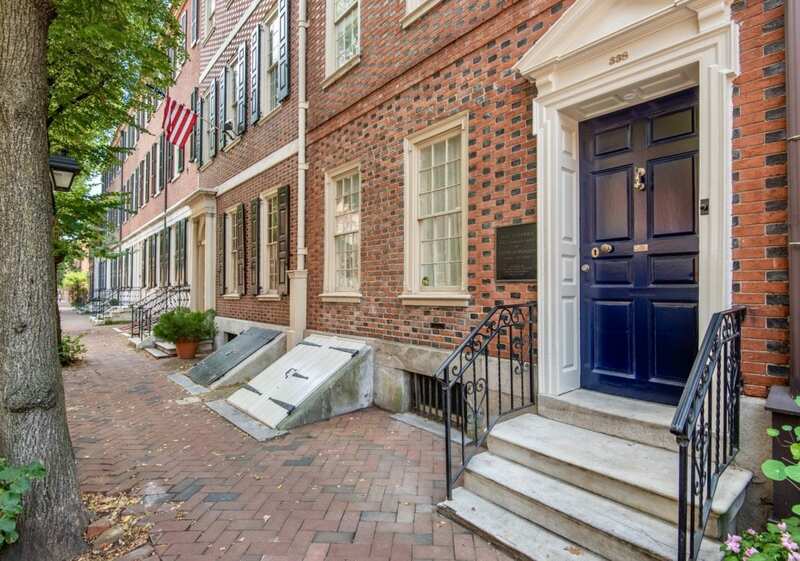 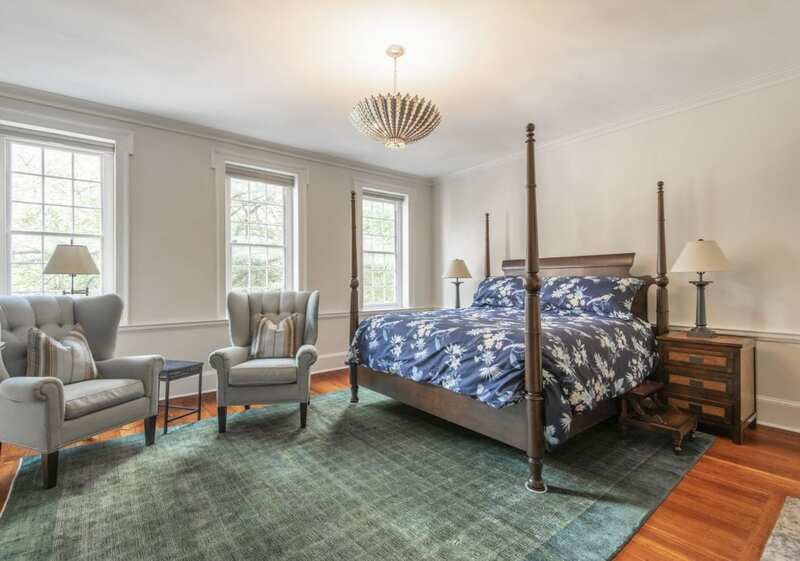 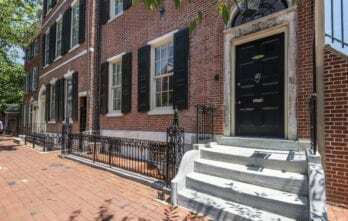 Open the deep blue front door flanked by its historical marker and enter into a 30-foot long hallway with wide plank pine floors. 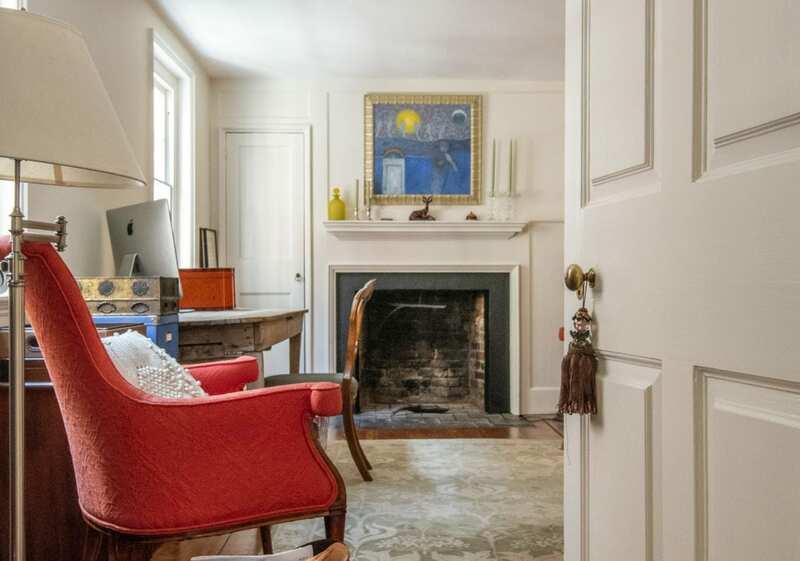 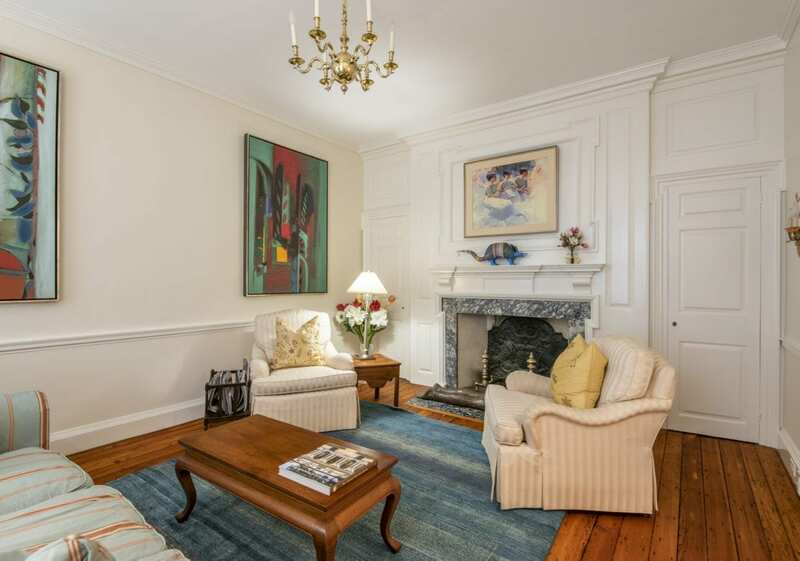 There are 2 sitting rooms each with a wood-burning fireplace surrounded by floor-to-ceiling moldings. 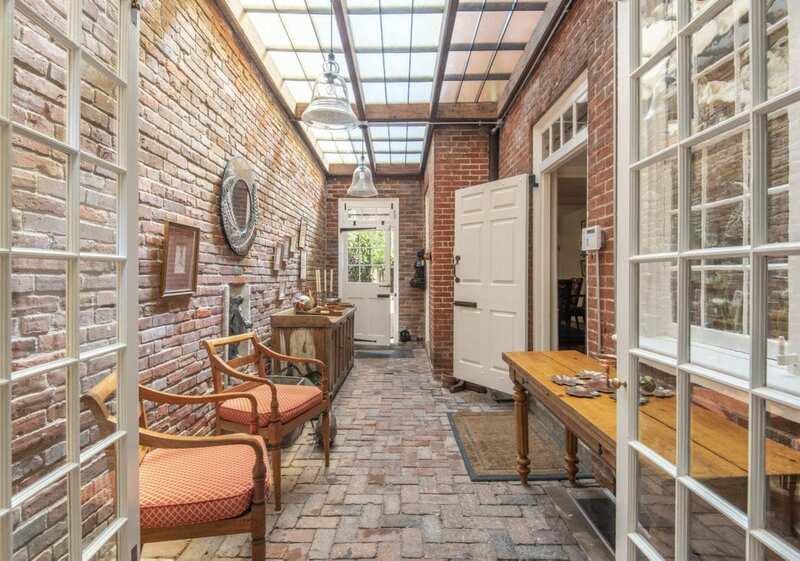 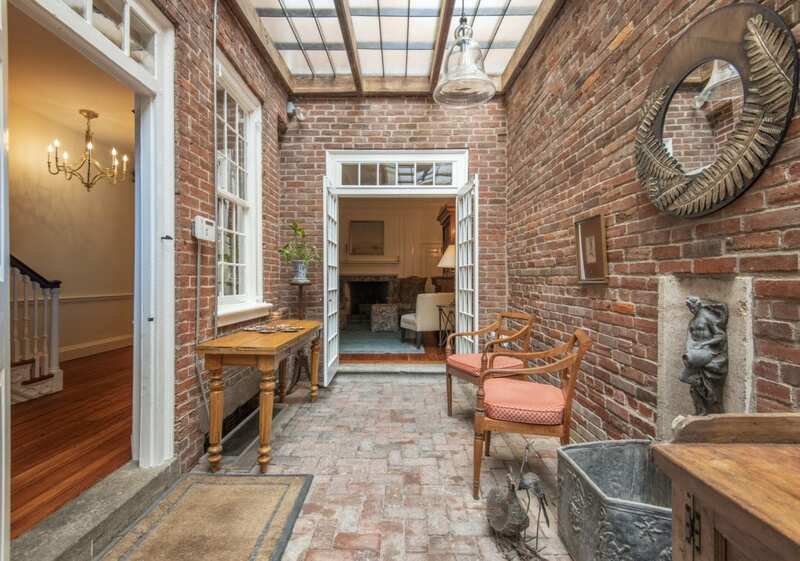 The hallway ends at what the original builder called “the piazza.” Turn left off the piazza into the sunroom decorated with original brick and window frames. 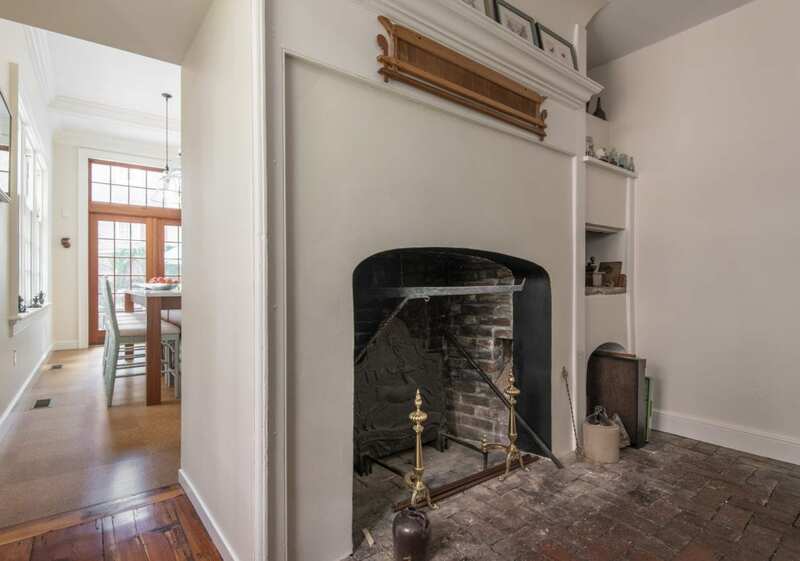 Past the staircase enter into the original kitchen with an authentic cooking fireplace, now the dining room. 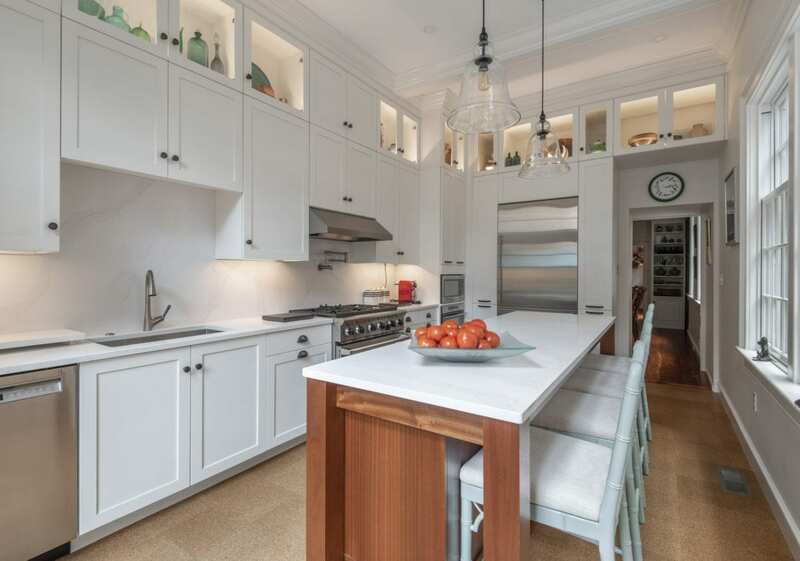 The newly built custom kitchen is designed for people who love to cook and eat! 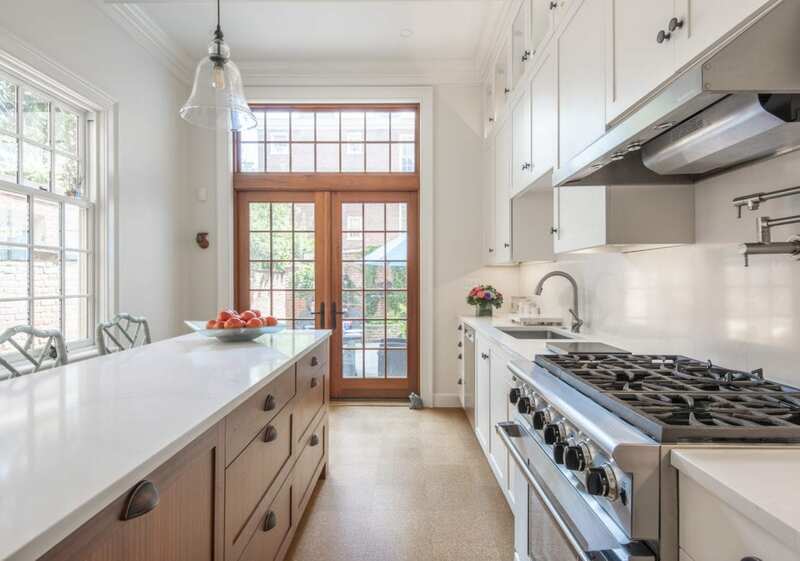 A mahogany & quartz island with seating for 4, floor to ceiling custom cupboards, drawers and pull out pantries providing ample storage and a professional gas stove with a dual fuel convection oven is supplemented by a Wolf steam oven and a GE microwave. 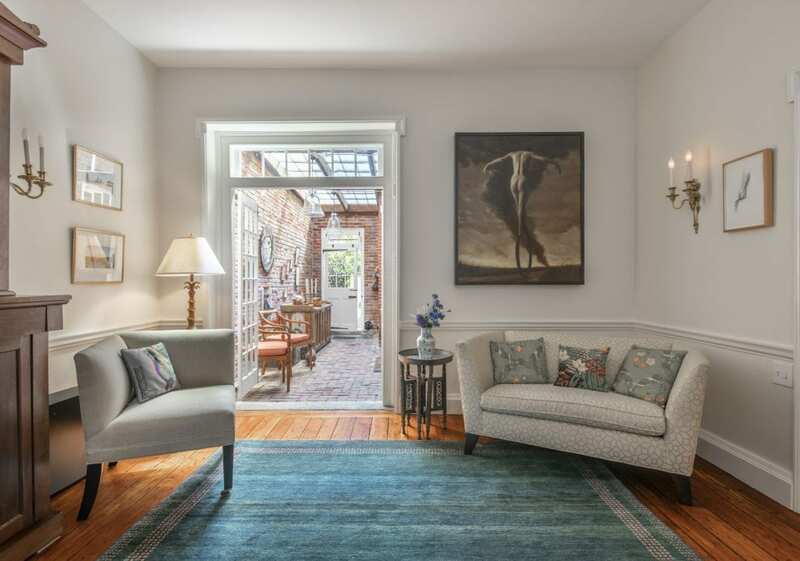 Large side windows look onto the planted outside corridor and French doors lead to the garden where you can enjoy morning coffee or evening drinks. 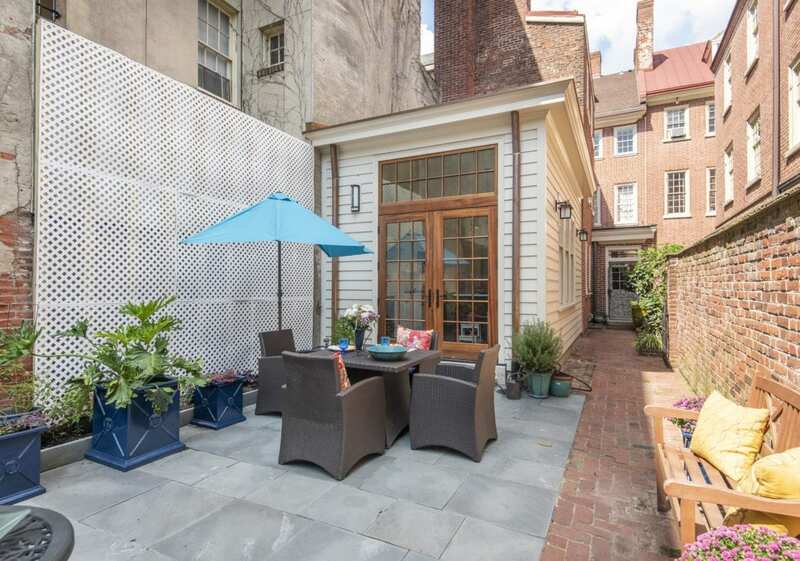 This landscaped garden features flowering vines that cover the garage’s rear brick wall and to the side is a perennial garden. 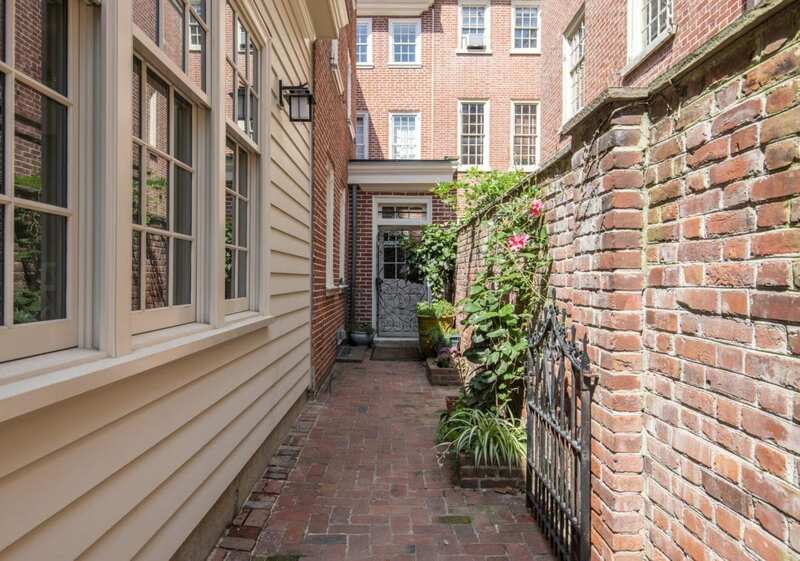 The garage opens onto Cypress Street, as does the back door of the property. 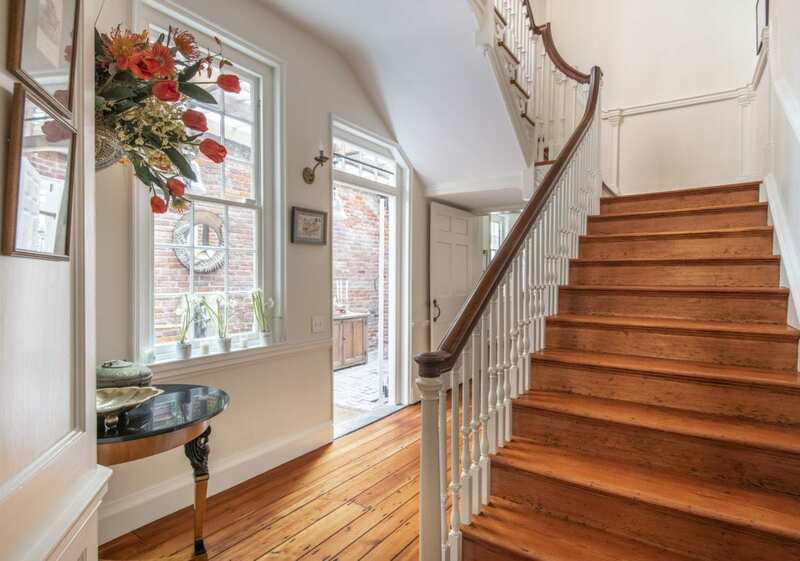 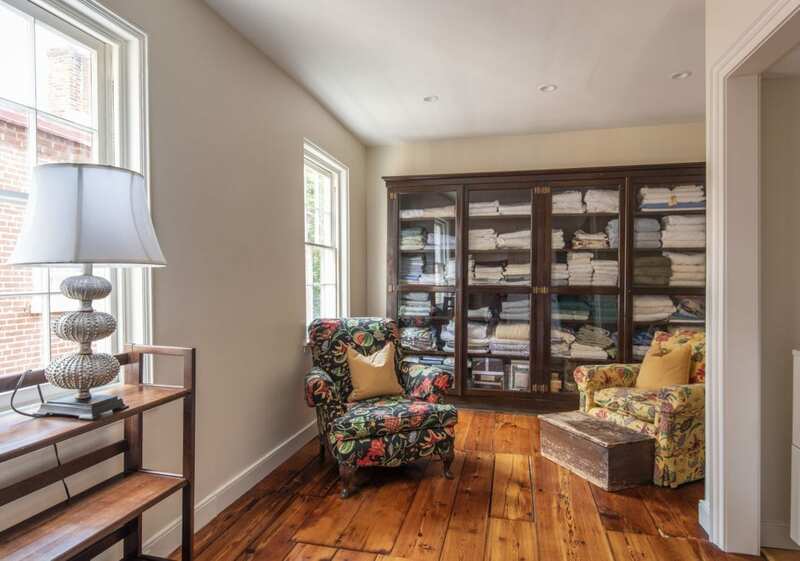 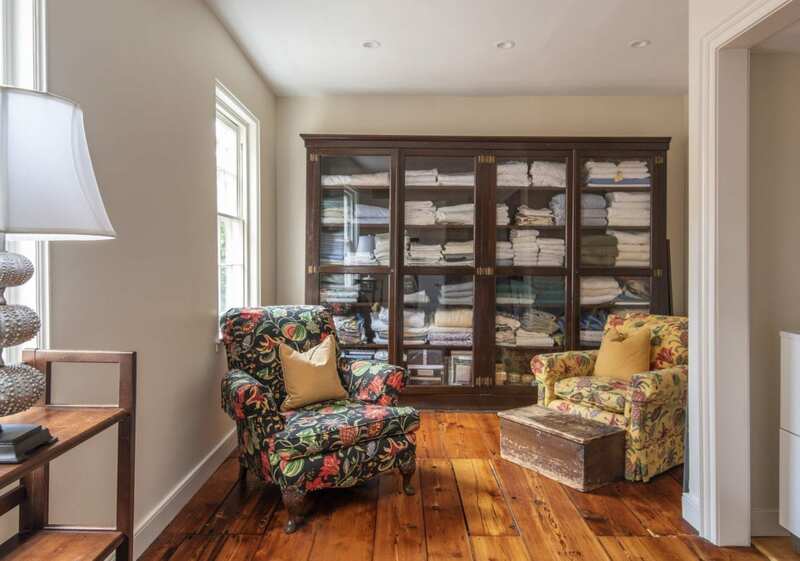 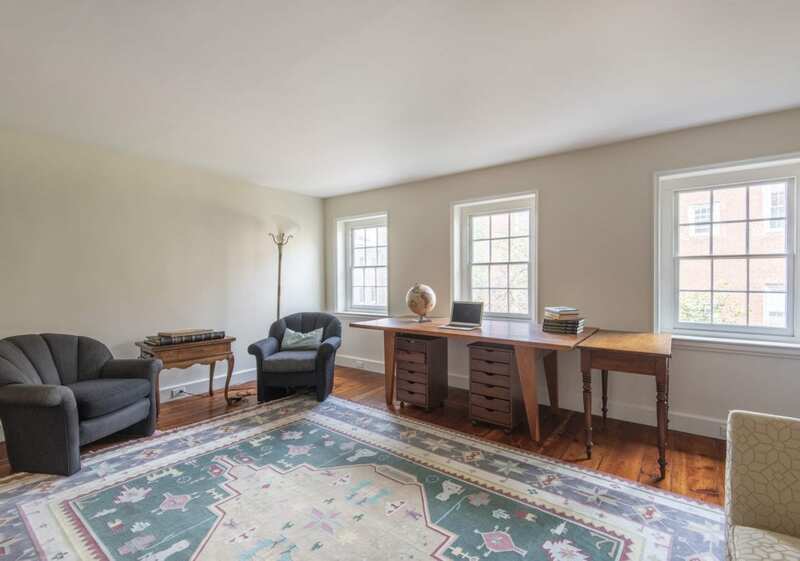 Back inside, up the original hand-crafted wooden staircase, the second level features a sitting room, currently used as an at home office, a master bedroom, a walk-in closet, and custom bathroom. 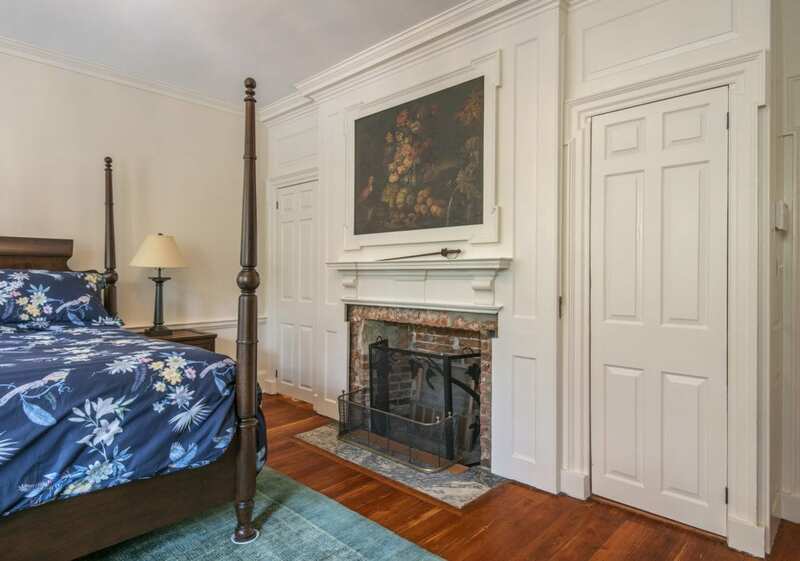 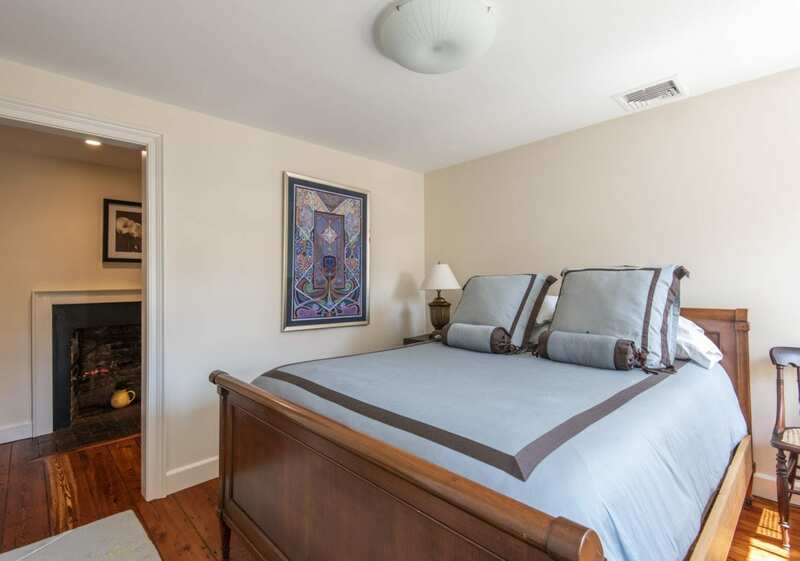 Both the bedroom and bathroom have fireplaces. 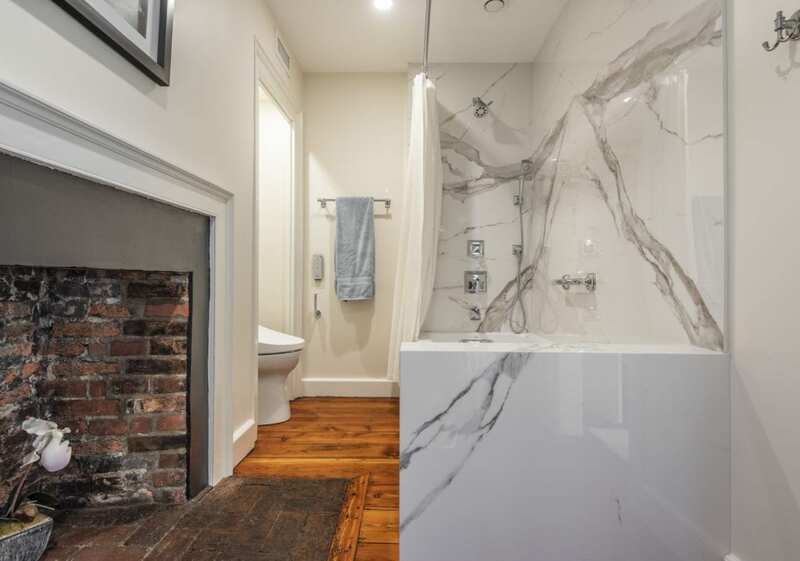 The wide, walk-in bathroom shower has custom porcelain walls and seating, a Toto toilet and double vanity. 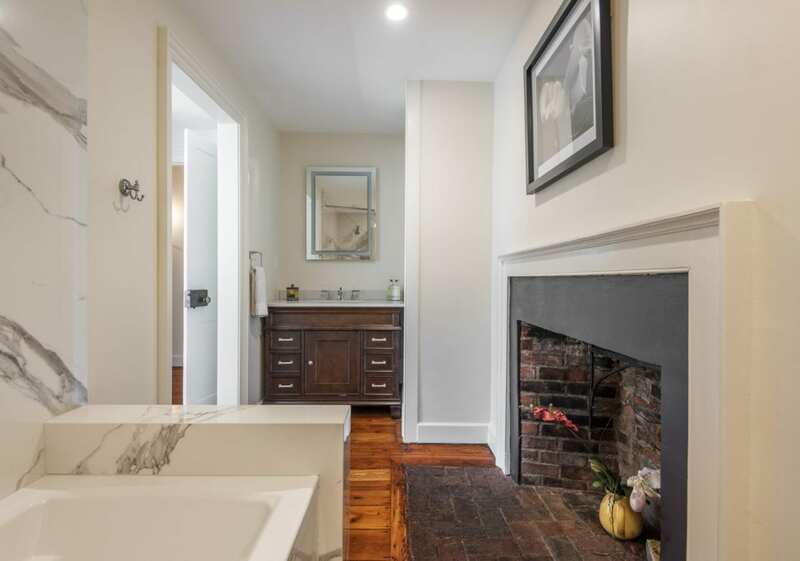 The next landing leads into the laundry room with glass-fronted storage, washer, dryer and laundry sink. 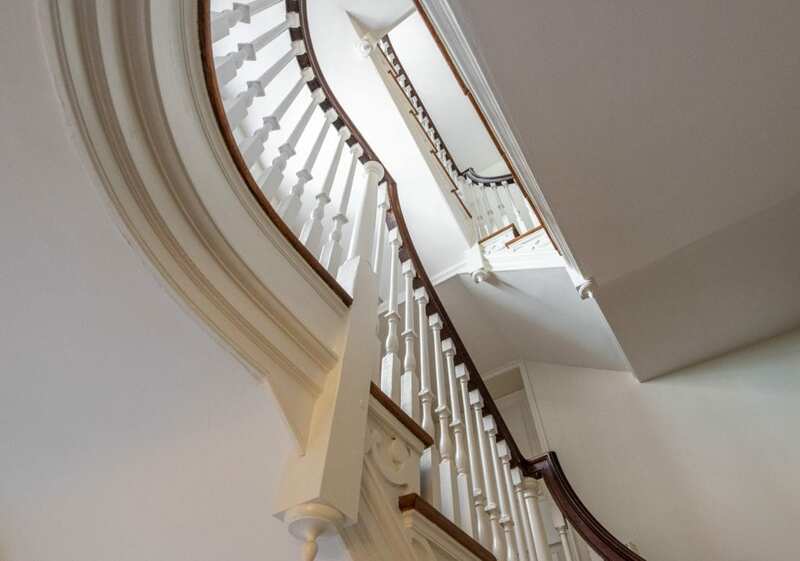 Continue up the stairs to the third level which features 2 additional bedrooms and a shared bathroom with custom porcelain walls surrounding the bathtub and another Toto programmable toilet. 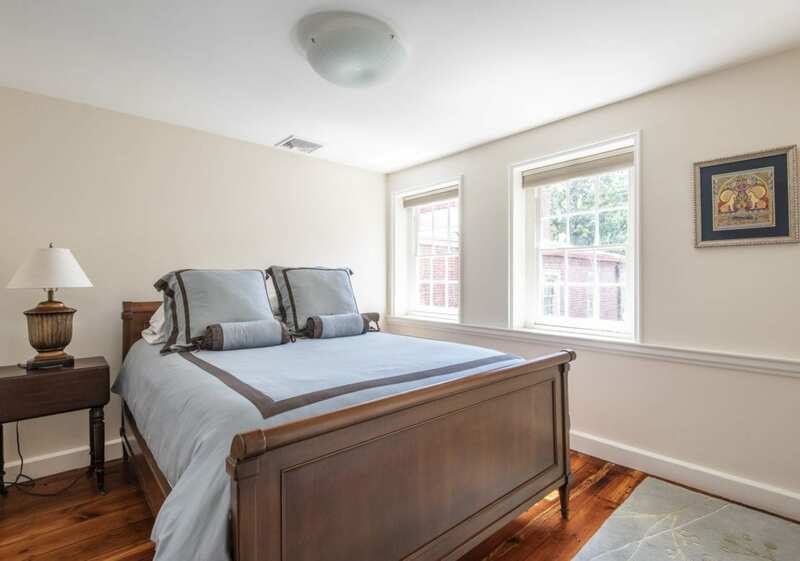 The fourth dormer floor has a bedroom, bathroom, separate living room and a cedar storage closet.